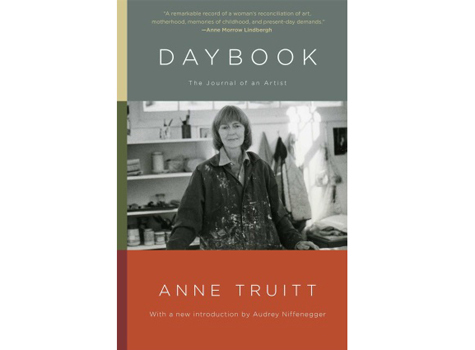 Scribner announces the release of a new edition of Anne Truitt's Daybook: The Journal of an Artist, now with a new introduction by Audrey Niffenegger. Truitt kept this illuminating and inspiring journal over a period of seven years, determined to come to terms with the forces that shaped her art and life. Her range of sensitivity — moral, intellectual, sensual, emotional, and spiritual — is remarkably broad. She recalls her childhood on the eastern shore of Maryland, her career change from psychology to art, and her path to a sculptural practice that would "set color free in three dimensions." She reflects on the generous advice of other artists, watches her own daughters’ journey into motherhood, meditates on criticism and solitude, and struggles to find the way to express her vision. A beautifully written window on the workings of a creative mind, Daybook showcases an extraordinary artist whose insights generously and succinctly illuminate the artistic process. For more info visit iTunes or Amazon.